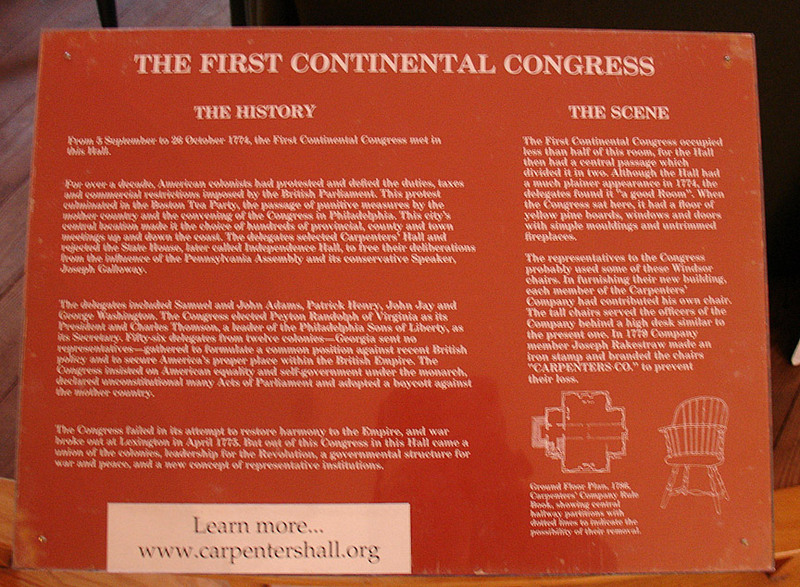 Carpenters' Hall — where the First Continental Congress met in 1774. 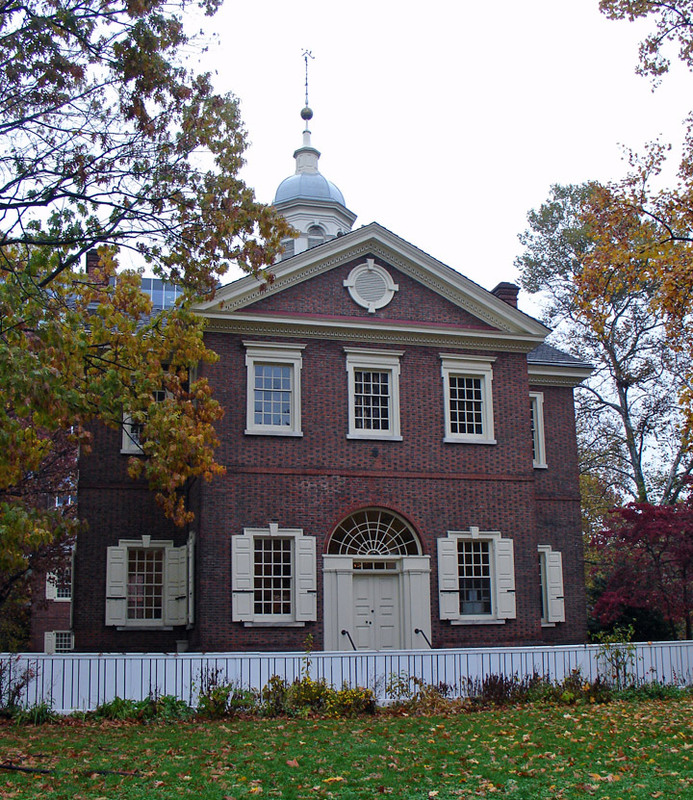 This landmark building was erected between 1770 and 1774 by the Carpenters' Company, the oldest builders' organization in the United States (formed in 1724). 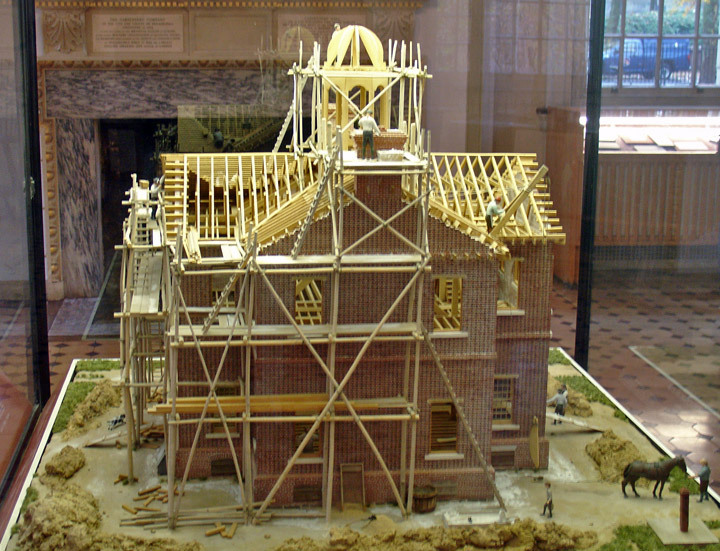 Carpenters were architects as well as builders in those days, it should be noted. 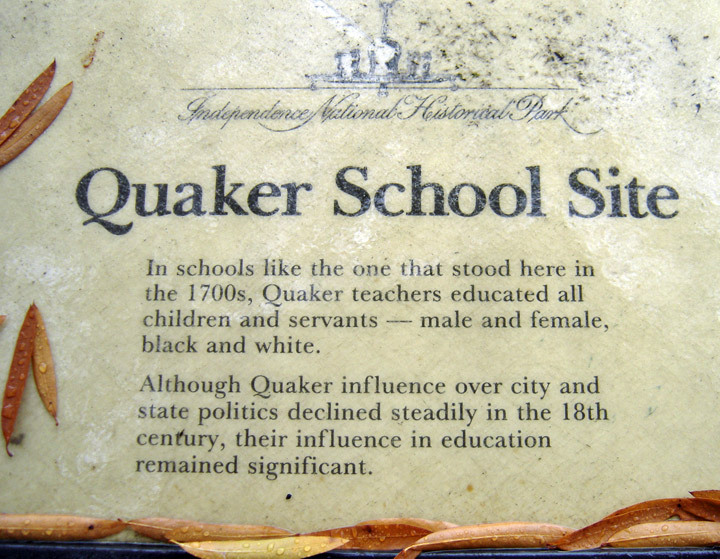 The Company published a book of rules and prices for its members in 1786. 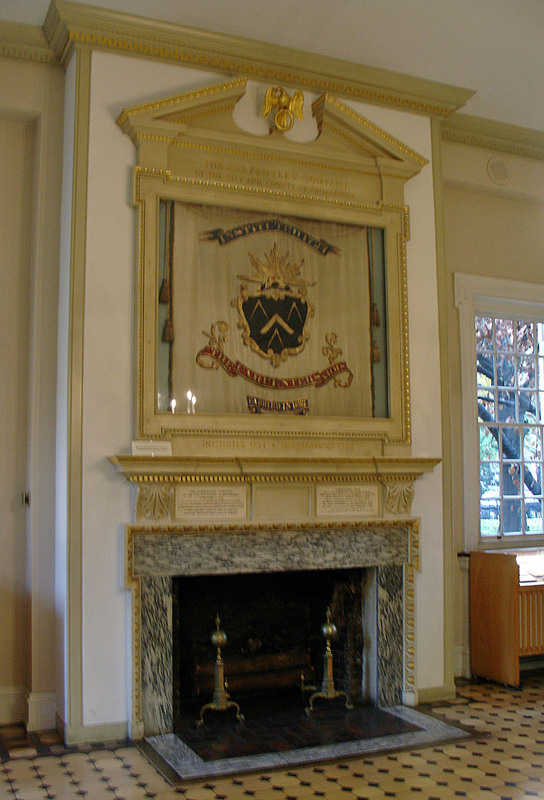 Articles and Rules was also a pattern book, and its use was restricted to members of the Carpenters' Company who faced expulsion if they showed it to outsiders. There is an amusing story of Thomas Jefferson's writing for a copy of the book in 1817, but even the former President — an amateur architect — was denied access to the secrets of the Carpenters' Company. 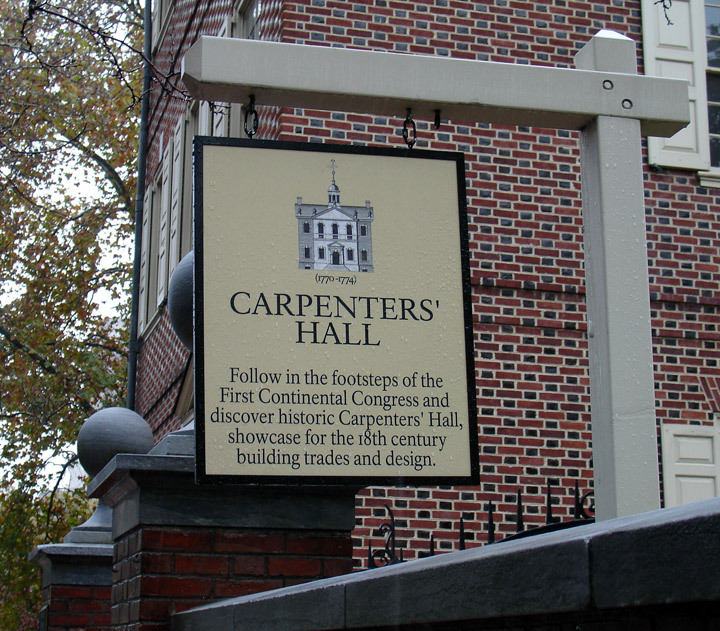 Carpenters' Hall has always stood out architecturally. 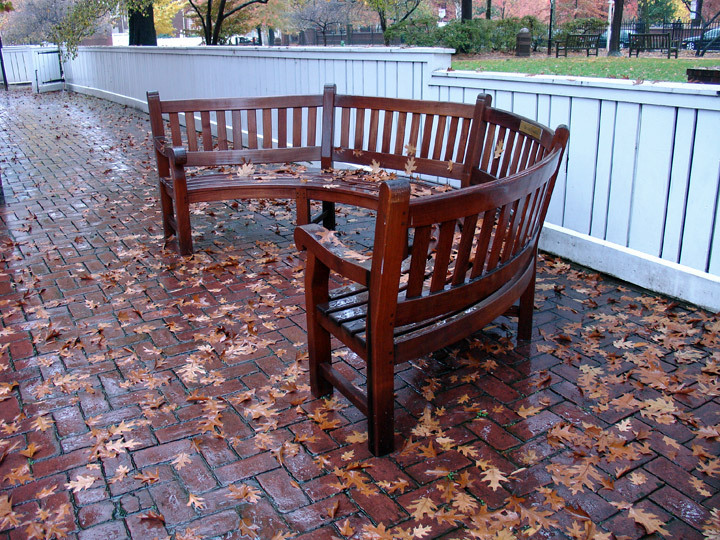 Its proportions are perfect; it has a sense of balance, of time and place, and it was designed to endure. 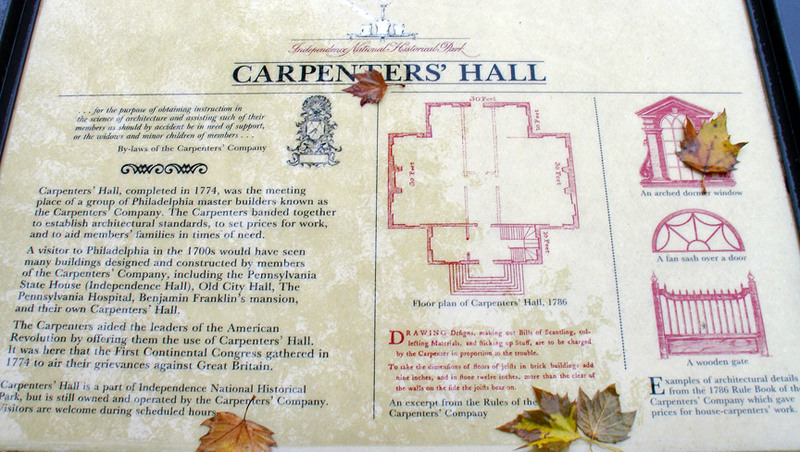 The Carpenters' Company still owns and maintains the building and holds meetings here. 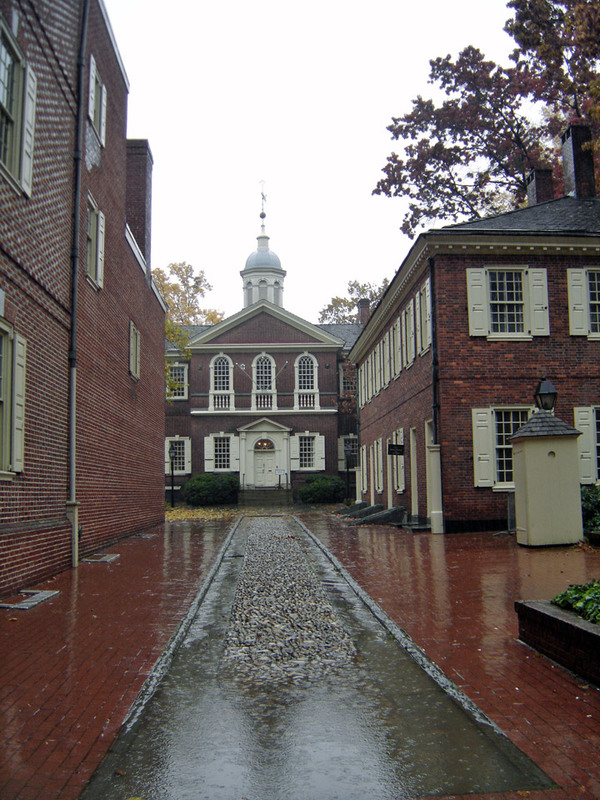 From September 5 to October 26, 1774, the First Continental Congress met in the eastern half of the bottom floor. 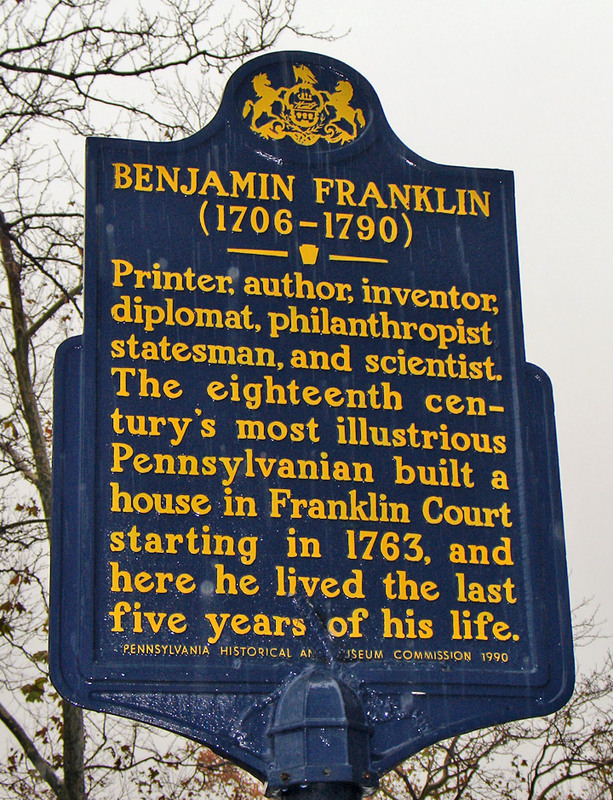 Robert Smith, who designed the building for use as a guild hall (restored in 1857, and opened to the public), was a member of the Second Continental Congress in 1775, and Samuel Rhoads of the Carpenters' Company was a delegate to the First Continental Congress. 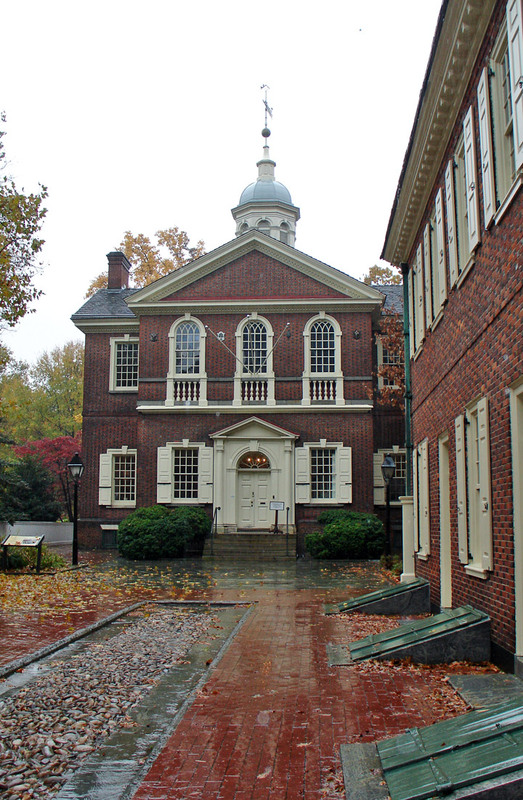 Note the top-right window — That's where the Independence Hall Association's offices are! 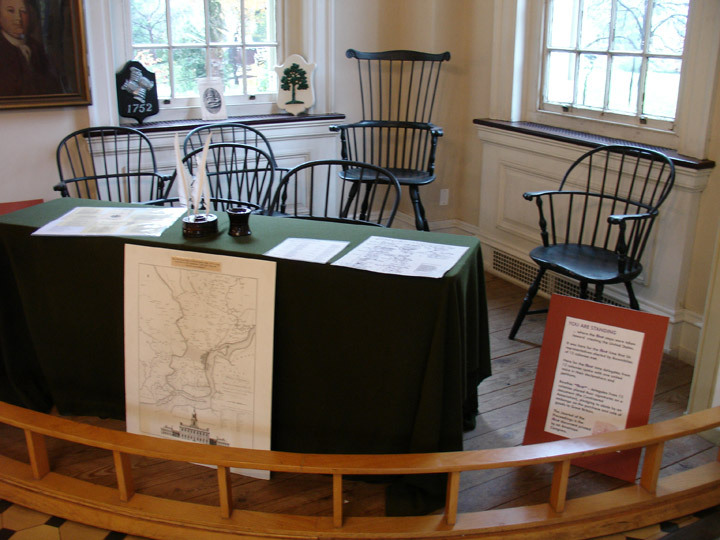 Inside the Hall eight Windsor chairs used by members of the First Continental Congress are on display. Also displayed are early carpentry tools. Don't miss an opportunity to see a remarkable confluence of history and architecture. 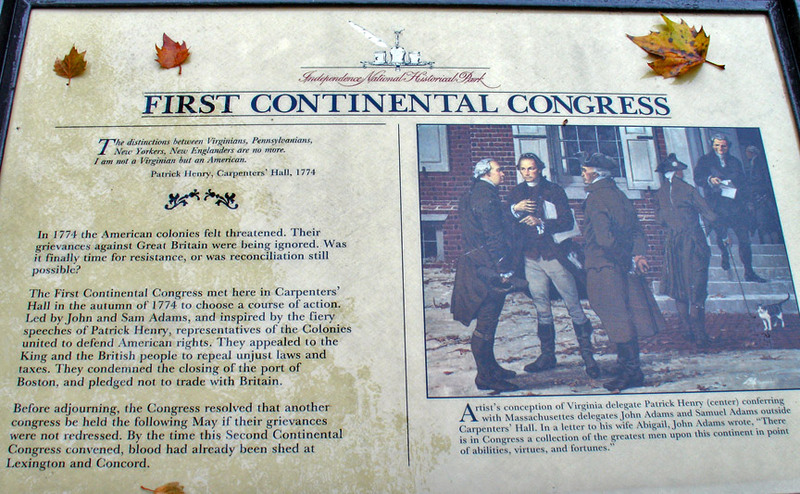 The Convention adjourned on October 26, 1774, resolving that another Congress would be held in Philadelphia in May, "unless the redress of grievances, which we have desired, be obtained before that time." Here, Patrick Henry said, "I am not a Virginian, but an American." A few months after the close of the Convention, Henry said, "I know not what course others may take, but as for me, give me liberty or give me death!" in a speech to the Virginia Convention back in Richmond. 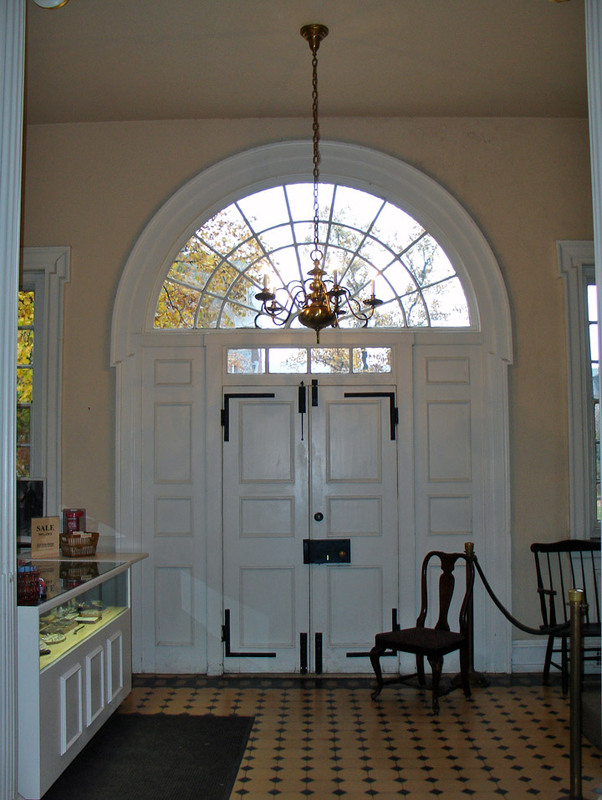 In 1857, the Carpenters' Company chose to restore and preserve this building as a historic landmark. 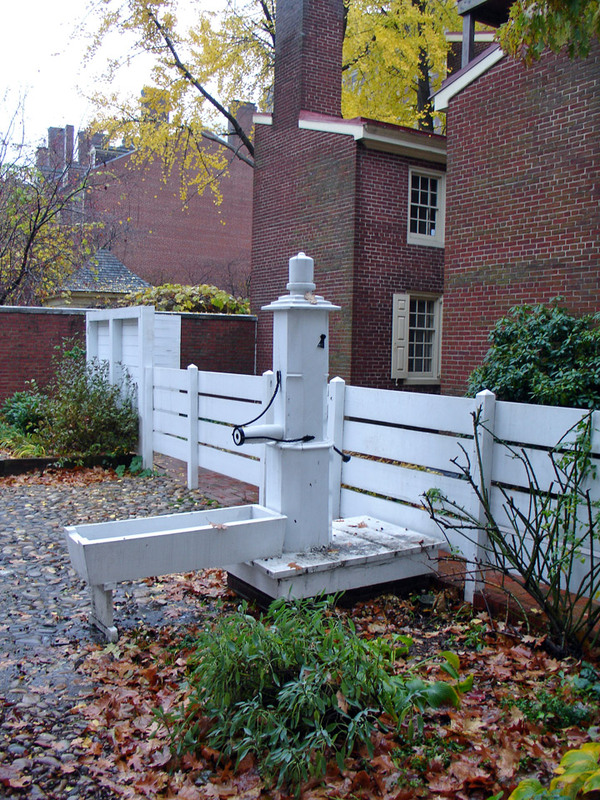 In 1955, the Independence Hall National Historical Park was making plans to restore and rebuild the area around Carpenters' Hall. Excavations uncovered a pornographic pipe tamper (used by 18th century smokers).